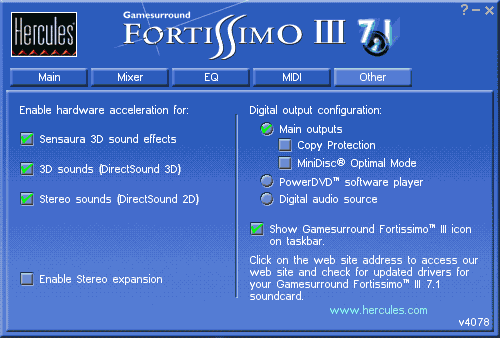 The Gamesurround Fortissimo III 7.1 sound card is produced by Hercules, the company that made the Game Theater XP on the Crystal CS4630 chip tested in our lab some time ago. 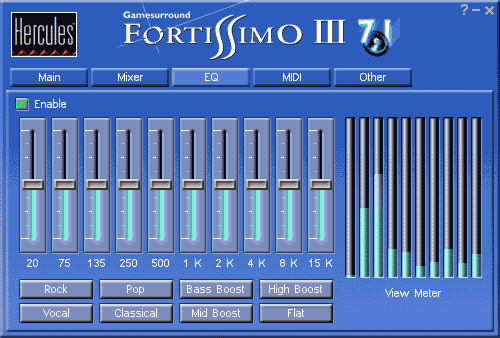 The Fortissimo III is based on the budget multimedia chip Crystal CS4624 (developed in 1998). 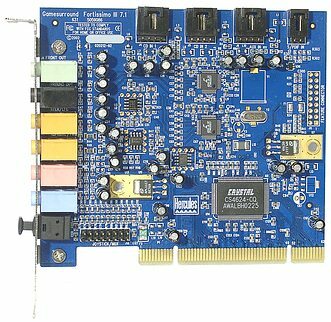 The card aims games and DVD movies with 5.1, 6.1 and 7.1 sound (Power DVD ProEX supplied). 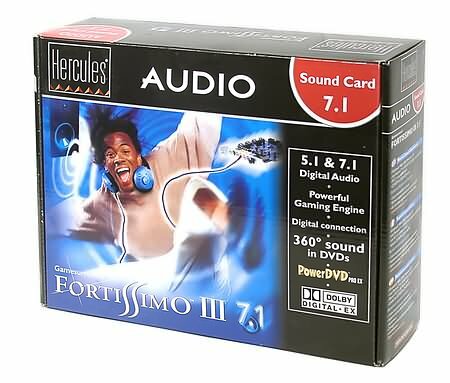 It's interesting that Hercules has no 6.1 or 7.1 speaker sets. 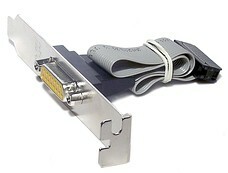 Since the rear speakers output is combined with a headphones-out, owners of 5.1 acoustic models can consider this connector as a bonus. The user guide written in 8 languages includes the specification, illustrated instructions for installation of the card and its drivers, connection of devices to it etc. Sonic Foundry ACID XPress loop sequencer. The Cirrus Logic CS4624-CQ was developed yet in July 1998 (and it's not produced anymore). The DSP has 255 MIPS by the specification. For you to know, the EMU10K controller in the SBLive! has 1000 MIPS. When the drivers were flawlessly installed, the system tray got a new icon of the control panel. The interface is a bit too primitive, but everything you may need is at hand. The Main tab offers you to choose a record sound (Stereo Mix, CD, CD2, Mic, Line In, Aux, Digital In) and speakers configuration. You can adjust the volume level of the signal and stereo panorama. When choosing a speakers configuration in the Master Volume, you will see the channels of a given configuration highlighted. There are 8 presets in all: 7.1 Speakers, 6.1 Speakers, 5.1 Speakers, 4 Speakers, 4.1 Speakers, 2 Speakers, 2.1 Speakers and Headphones. You can adjust volume of each channel independently. The 'Small Speakers' setting ticked off in the presets with the subwoofer will cut off the low frequencies of the signal applied to the satellites and transfer them to the sub. This option can be very useful in case of low-power satellites with crippled low frequencies. The next tab provides a mixer with volume level controls for all inputs and outputs. You can adjust signal's and panorama's levels and mute the sound. The following tab shows us a 10-band equalizer with several presets and an operation indicator. 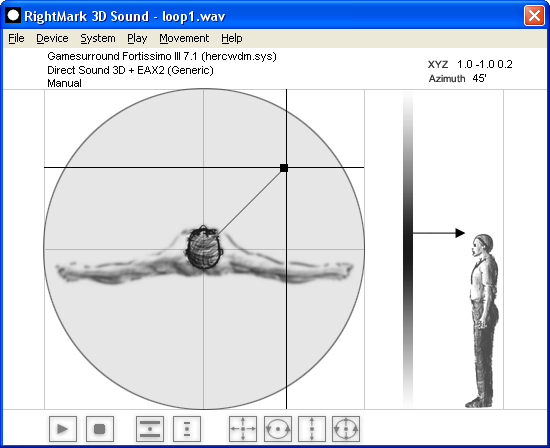 But owners of high-quality acoustic systems should better disable it since the equalizer markedly distorts the sound. The fourth tab houses various MIDI settings. 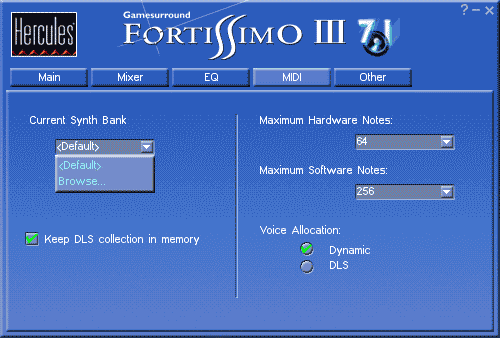 The last tab (Other) covers the following settings: activation of the Sensaura algorithms in the drivers (EAX 2.0, I3DL2, A3D 1.0 supported); Enable Stereo expansion (it can be useful exceptionally in games); digital outputs adjustment (Mini Disc Optimal Mode disables monitoring of analog outputs, Digital Audio Source sends a digital signal from the internal input to the external optical output). We connected the front output of the Fortissimo III to the line-in of the reference card Lynx Two (SNR 117 dB) with a short high-quality low-noise microphone cable (Proel) with gold-plated connectors. The Lynx Two has standard input sensitivity: -10 dB B. The output signal amplitude of the Hercules card is rather low - 1 V. That is why we normalized the recorded signal up to the required level. See the details on testing the card in the mode of 16 bits 44 kHz here. See the details on testing the card in the mode of 16 bits 48 kHz here. The test results agree with the specifications for the codec. That is why the analog section is not a bottleneck of the card. It's also interesting that the input-to-output test results for the Fortissimo III card almost coincide with those for the reference card (only the distortions level is a little higher). CPU utilization (%) for different modes of operation and a different number of DirectSound buffer. The average value and dispersion go after the slash (mean of distribution and standard dispersion) for the 2-minute test and with accidental releases of the system discounted (swap etc.). 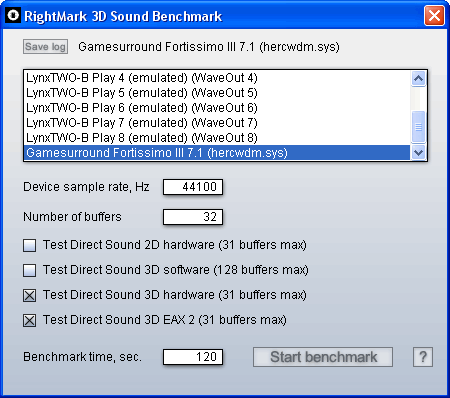 The listening tests were carried out in Unreal Turnament 2003 and Soldier of Fortune II. To estimate the relative sound quality we used the Audigy 2 card as an absolute leader in sound producing in game applications tested. We listened to the same game episodes switching the cards as fast as possible. The Event 20/20bas active monitors used (~$1,000). In general, the card plays well, but it's still inferior to the Audigy 2. The difference is not huge, but you can feel it. First of all, there is some difference in the volume levels. The Hercules Fortissimo 7.1 plays much quieter than the Audigy 2. 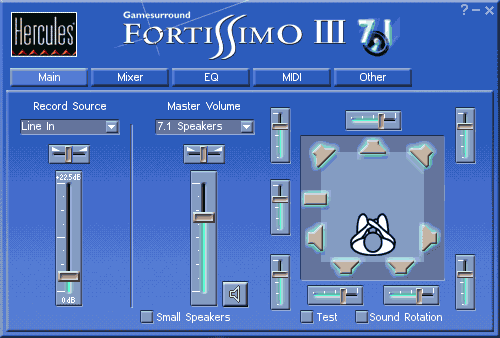 Sometimes it's difficult to determine a sound source in the games on the Fortissimo 7.1 because of the blurry panoramas and not very detailed sound. For example, it can be uneasy to determine a place of explosion when a racket blows up behind a virtual hero in UT2003. It's not clear whether it's on his right or left. In the SoF2 some of the sounds, when a lot of them are played simultaneously, are either hardly heard or not produced at all. In contrast, you can perfectly determine how the sound sources are arranged when they are played in numbers on the Audigy 2. Also remember, that the difference between their sounding is much less on inexpensive PC acoustic systems. 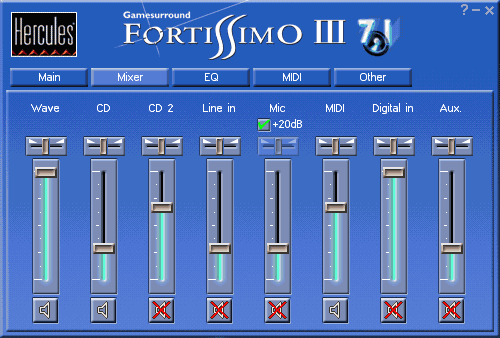 In the tests the Fortissimo III 7.1 sound card performed quite well both in the objective and subjective listening tests. In general, this sound card is a good solution for gamers and for listening to music on inexpensive PC acoustic systems.